Helen Rodrigues invites you to be part of the Monique Lhuillier Bliss Weekend that takes place in Sydney on Friday 26 and Saturday 27 October 2012. 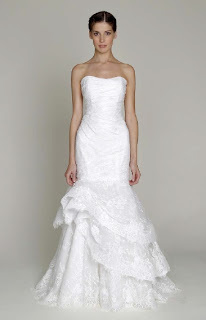 You will have the opportunity to try on and order your gown from the stunning 2013 collection. The Monique Lhuillier Bliss collection is an affordable designer collection ranging from $4,500 - $6,000. This exclusive opportunity is by appointment only and includes personal advice from Helen Rodrigues and a glass of champagne.